This introductory class is perfect for homeschoolers, small groups, and individuals interested in learning more about this unusual art. 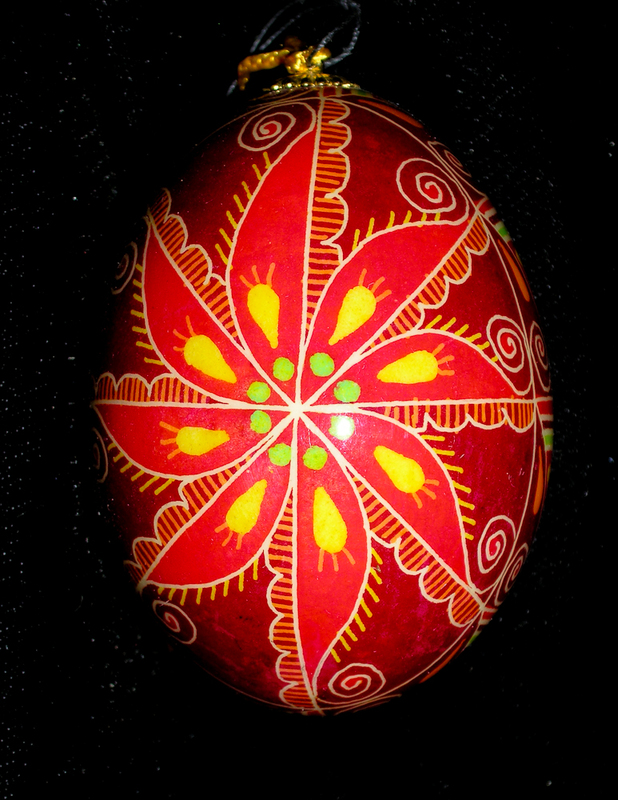 Explore the colorful world of Pysanky (Ukrainian Easter Eggs) as you learn this wax-resist technique handed down through generations of Eastern Europeans. In this three hour introductory class we will briefly cover the history, culture, and symbolism of this ancient art before beginning to work on real chicken eggs. Students will practice drawing wax lines on an egg and layering dye colors to make their own unique creation. After removing the wax they will apply a final glassy finish to protect their design. No artistic skill or experience is necessary. Everyone is welcome in this class but since we will be working with a candle flame, students should be 6th grade and above. What a gorgeous idea! Thank you so much. My grandma was born in Sevstopol (Ukrainia), I live in Germany now. I think, I’ll check into this egg art. Thanks for the idea! Thanks, and I’m glad you stopped in. If you lived closer you could take a class here near Sacramento, California. If you can’t find anything near you about these eggs, try the internet. There are lots of sites for more information and for supplies. Have fun! I am so glad that I found this site!!! I have always loved the beauty of the eggs and I recently checked some books out from the library on how to make them. I am a very hands on learner and would benefit from a class. I am so excited!! Will there another class offered next month?